The HERShovel is available in three sizes to best fit gardeners of different heights. Advertised as being “HERgonomic®,” the HERShovel was designed by women for women, already a step ahead of most such tools in my view. Because women’s bodies are significantly different from men’s, a tool that’s ergonomically designed for men is not necessarily right for women. HERS® is a hybrid tool that combines the features of both shovel and spade, designed with women’s bodies, height, and digging style in mind. The only difference between the three sizes is the length of the ash shaft – good news for everyone who isn’t of “average” height. I’m under 5’2” so I was curious to see how well the small version performed. Related Article: Shovel vs Spade: What’s the Difference? The large handle easily accommodates both large and small hands. I suppose the best compliment the shovel received was from The Undergardener, who was supposed to be snapping pictures while I did the shoveling. I’d barely gotten started when he yelled, “Stop, stop! You’re going too fast.” With arthralgia in both hands and both feet, I have not used a shovel in three years. And I don’t do anything fast. He was trying to get a picture of my hands, explaining that it is impossible to hold a regular shovel in the way I was holding the HERS®. I hadn’t even noticed, but the large, D-shaped grip enabled me to automatically grasp the handle in whatever position worked best for me. Using both hands was easy, too. Since The Undergardener already uses a short steel shovel for a many tasks, he wanted to try out my HERShovel, even though it’s not meant to be used by a 6’4” man. An engineer by training, he felt it was well-made and did a good job, overall. The oversized step works well for both Size 7 and Size 12 feet. Even though New Jersey is called The Garden State, we don’t actually have much soil in our neck of the woods, but a combination of clay and cobbles. I was holding a potted hibiscus in reserve while I waited for the HERShovel to arrive, in order to test how well I could dig into this rocky soil on a slope. I had no difficulty. The large tread helped, since my legs are much stronger than my arms. The angle of the blade is supposed to be better-adapted to how women work. I can’t say how much that enhanced my digging ability, but the bottom line is that this was the first time I was able to dig a hole in this area by myself. Hold it any way you like. The HERS® made quick work of a full-grown columbine that had volunteered along the edge of our limestone gravel driveway. Similarly, it was easy to dig a hole in the rather poor soil where I transplanted it; soil that’s layered with partially decomposed shale tailings from the well. The HERS’ wide blade cuts a good sized hole right from the beginning, so it’s great for planting perennials or shrubs. It also lets you lift a good amount of compost or other soil amendments, which speeds up both the soil-mixing process and getting it all back into the planting hole. It also makes light work of shoveling mulch orwood chips. Proportional sizing makes digging, grasping, and lifting easier. Comparison with traditional short, one-piece, steel shovel. Even though I knew better, I tried the HERS® in a wooded area along one side of the driveway that has always been difficult because the surface is covered with a mat of fine roots. The shovel couldn’t make a dent. To be fair, when we plant in this space (yes, we can grow hydrangeas, rhodies and bulbs there), we normally use a pick-axe, crowbar or forester’s cast steel planting bar. The HERS® did just fine with the amount of fibrous roots found in normal soil. Hybrid blade. The wide, thin hybrid blade-scoop contributes to a lighter weight overall, a big plus in my book. You should be able to move a lot more material, such as compost, wood chips, mulch, sand, or stone than with a traditional long-handled shovel. The large, gripping step comfortably accommodated both my small foot and The Undergardener’s size 12 work boots. Scrape off any caked-on mud, then clean the shovel by rinsing with water. Before storing it for the season, apply a coating of light oil or vegetable oil to prevent rusting. Occasionally, the blade may need to be re-sharpened or the wooden shaft sanded and oiled. To read more about maintenance and care, go to the Green Heron Tools website and click on the “Care Instructions” tab toward the bottom of the page. Three sizes. The HERS® shovel comes in three sizes: Small for women under 5’2”; Medium for women 5’2 – 5’7”; and Large for women over 5’7”. Weight. I found the 4½-lb weight of the HERS® liberating. The heft of larger hand tools has always been an issue for me, so every ounce of weight-reduction counts. The HERShovel is noticeably lighter than my similarly-sized one-piece steel shovel. Warranty. The HERS® comes with a 10-year limited warranty. If the shovel breaks from normal homeowner use during that time, they will repair or replace it. Blade: The 9″ x 11” head is made of 14-gauge tempered recycled steel, with a rivet-and-socket connection to the ash shaft. The rivet goes all the way through the handle, an sign of quality. The blade flexes under pressure to prevent breakage. Handle. The American ash shaft is Appalachian Hardwood Verified Sustainable and the large, hollow, non-slip D-grip is molded from recyclable plastic. To read more about the shovel’s Hergonomic® design, go to the Hergonomic® section on the Green Heron Tools website. A U.S. Department of Agriculture Small Business Innovation Research grant funded most of the design costs for the shovel, and Green Heron Tools founders Ann Adams and Liz Brensinger both had careers in public health. The tool was developed and tested with the help of ergonomic researchers and female farmers. Sustainability Bonus. The blade, shaft, handle, tags, and packaging are all designed with sustainable practices in mind, using recycled, recyclable, and renewable resources. To read about the HERS®sustainability initiatives, go to the Sustainability section on the Green Heron Tools website. You can buy the HERShovel at Green Heron Tools’ online store for $64.99 plus tax and shipping. To see a list of brick-and-mortar retailers that carry the shovel, click here. I knocked off half a point to give this tool a 4.5-Shovel rating. This was mainly because it fell short on the root mat and The Undergardener thought the blade was too flexible and might break. The caveat here is that his expectations border on conditions that some might consider tool-abuse. This flexing is actually meant to prevent breakage, but the manufacturer does caution against using the shovel for non-shovel uses, such as prying out large rocks or chopping out roots, tasks The Undergardener demands of every tool. To me, that’s a minor tradeoff for the advantages of lighter weight, larger capacity, and improved leverage. It’s a fabulous gardening tool for women and I highly recommend it. While some might consider the HERS® pricey, its cost should be evaluated in terms of the 10-year warranty and shoulder and back pain averted. And now over to you – Have you tried any ergonomic shovels or spades? What did you like or not like? Let us know in the comments below! And if you liked this review, why not sign up to [OptinLink id=1] get reviews by email [/OptinLink]. 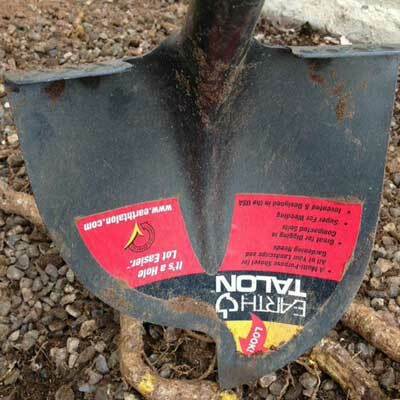 Disclaimer – GPReview would like to thank Green Heron Tools for giving us a free HERS® shovel to review. There was no expectation that it would be a positive review and we received no compensation for writing it. All opinions expressed here are those of the author based on personal experience using the product. Disclaimer – GPReview would like to thank the manufacturer/distributor for giving us a free sample to review. There was no expectation that it would be a positive review and we received no compensation for writing it. All opinions expressed here are those of the author based on personal experience using the product. 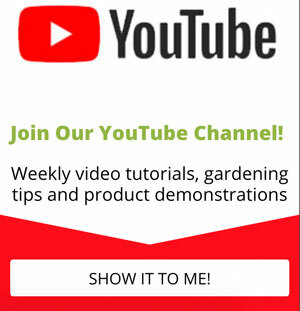 Lois works with folks who want to learn how to garden from the inside out. She is a garden writer and popular regional speaker who writes and gardens in Northwestern New Jersey. Her articles have appeared in well-known magazines, such as Horticulture and Do It Yourself. Read more about her here. This will be the first year I’m putting a shovel on my Christmas list. As a 5’3″ avid gardener I have repeatedly told my husband there should be a shovel designed for women. Typically I go thru a shovel a year…. they just can’t keep up. I’m excited about the warranty for that reason.